Tag: EN354 | Hütter Safety International B.V.
Reduces cable movement. Only one hand is needed to pass shuttle through an intermediate bracket. 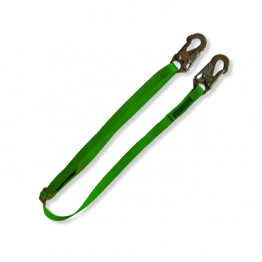 Positioning lanyard allows you to work hands free and be suspended from an anchor point to reach the area avoiding free fall.